It is probably one of the reasons why Rap Steaks and Cakes is the Eatventurers go-to-restaurant when it comes to steaks. Even though the restaurant doesn't offer the highest quality steaks as some of you have experienced in hotels or expensive restaurants, it is still an excellent spot for your everyday steak. Q: What's so special about this restaurant? A: Unlimited gravy and special sauce! 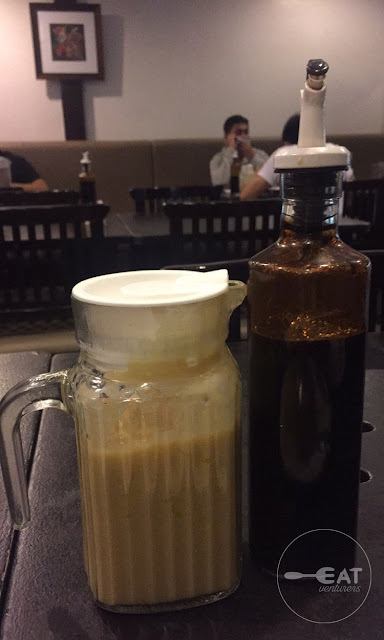 The gravy is buttery but not too oily. It has a sweet side, flavorful but not salty. The special sauce, on the other hand and in our opinion, is their version of Worcestershire sauce. You may mix these sauces depending on your preference. We are sorry we cannot tell you which is the better sauce. They're both great! Raps marinated their steaks well. You actually don't need that much sauce. You can even munch on the fat! It is that good. 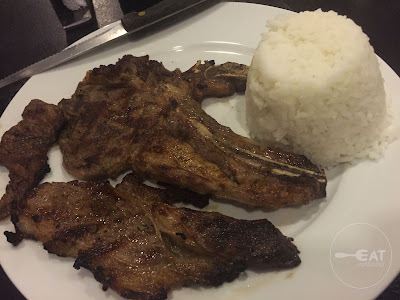 We usually order: Porterhouse (Large - P257, Regular - P225) and T-Bone (Large - P245, Regular - P214). The Eatventurers recommend medium rare or medium for your steaks' doneness. If you order medium-well to well-done, the beef becomes dry and tough. You won't enjoy it as much. 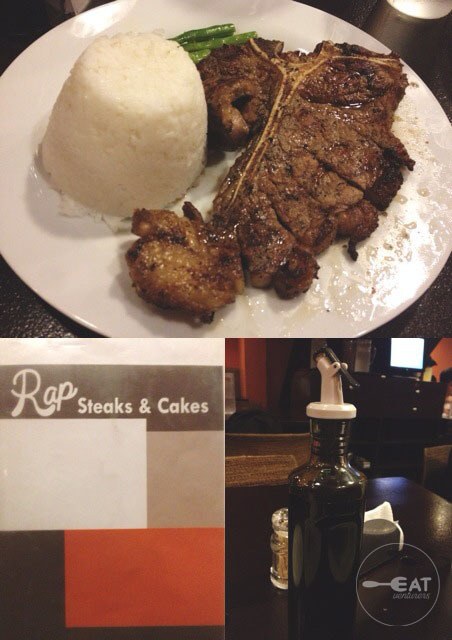 You may order your steak with rice, mashed potatoes, marble potatoes, or french fries depending on your choice. Note that switching from rice may cost you additional P20 to P30. Disappointments: increased in price over the years, no more vegetables as sides. They used to have buttered string beans or beans sprouts as sides but they no longer have it now. Points for improvement: Grill marks, more smoky flavor. 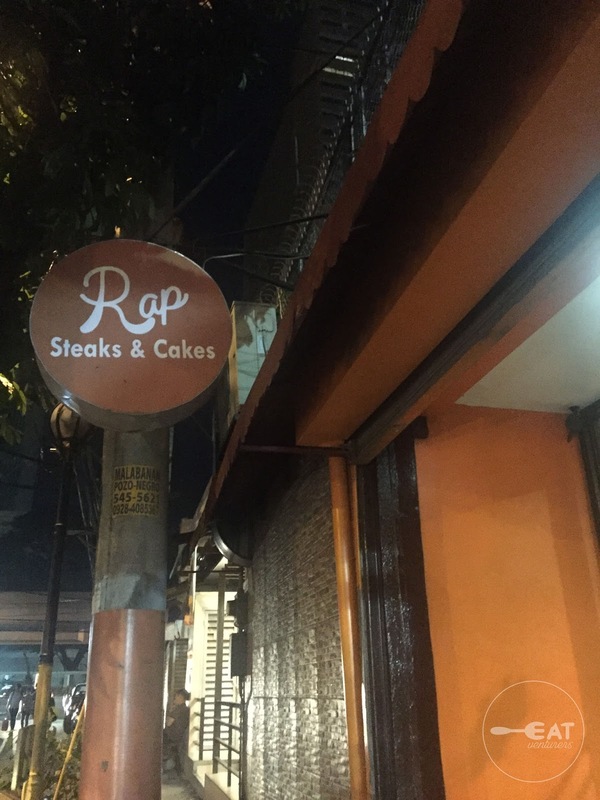 Rap Steaks and Cakes may be known for their steaks but they also offer variety of choices in their menu. They offer Liempo 200G (P178), BBQ Pork Ribs (P194), Glazed Beef Short Ribs (P220), Salisbury steak 1/3 LB (P155), chicken lollipop, chicken tenders, salpicao, and 1/3 pound cheeseburger. 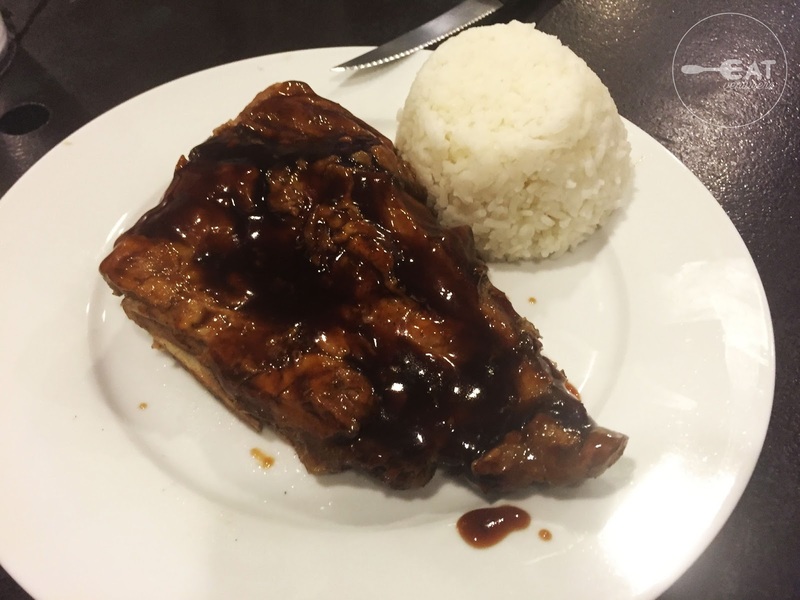 The Eatventurers have already tried their BBQ Pork Ribs, Liempo, and other dishes but we won't review them for now. This is in line with the spirit of fairness since we have already forgotten the taste of these dishes. 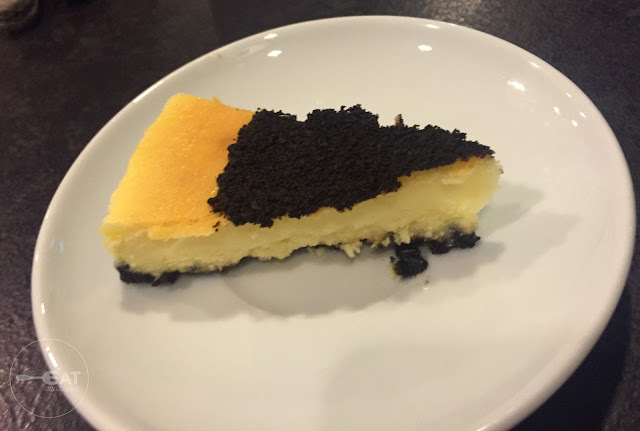 For desserts, we have ordered a slice of their Oreo Cheesecake. Many love it, but we are not a fan of it. It costs P78 a slice. 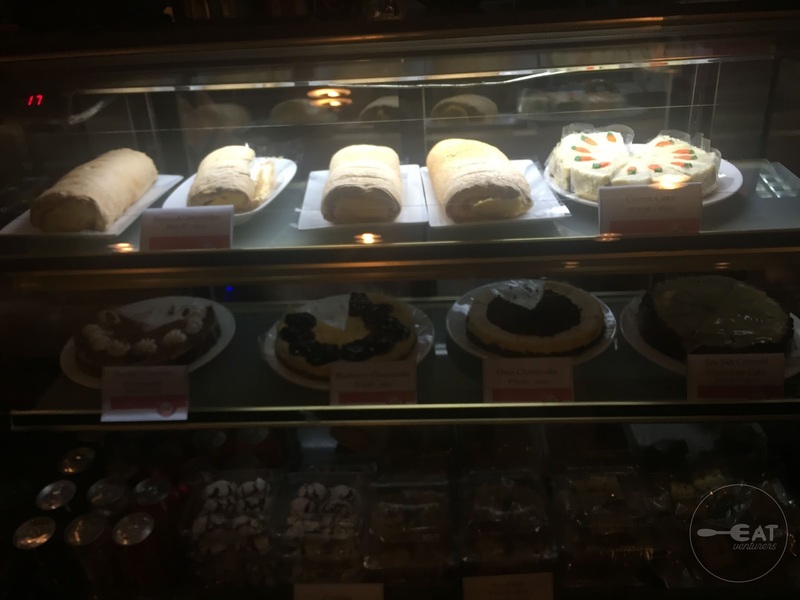 They offer other cakes such as Double Choco Cheese Cake, Carrot Cake, Brazo de Mercedes, Blueberry Cheesecake, among many other pastries with the same range of price. 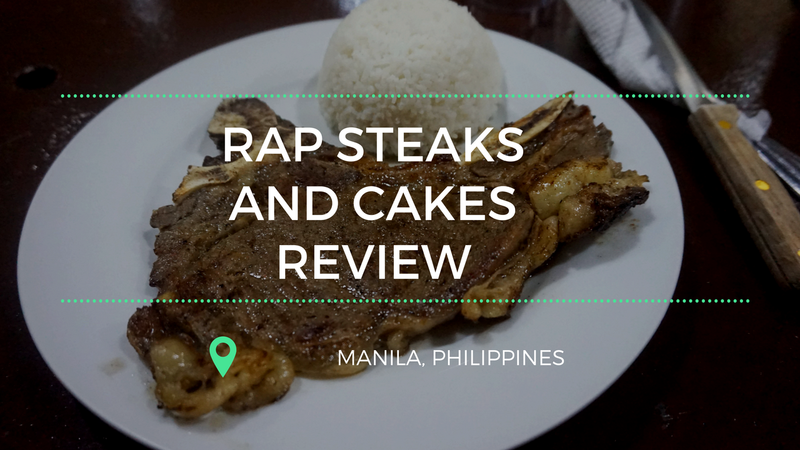 Satisfy your steak cravings when you visit Rap Steaks and Cakes. 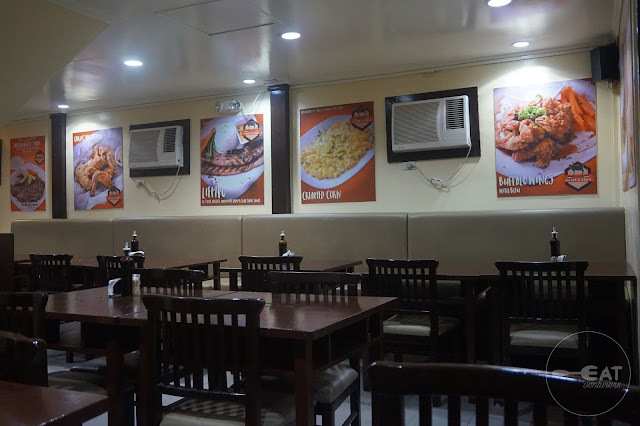 For us, it is one of the best restaurants in Taft Avenue. We've visited this place countless times. It is worth coming back to. Operating Hours: 11:00 a.m. to 10:00 p.m.